Tangaer Cottage is located just outside of Cellen near Lampeter, Ceredigion. 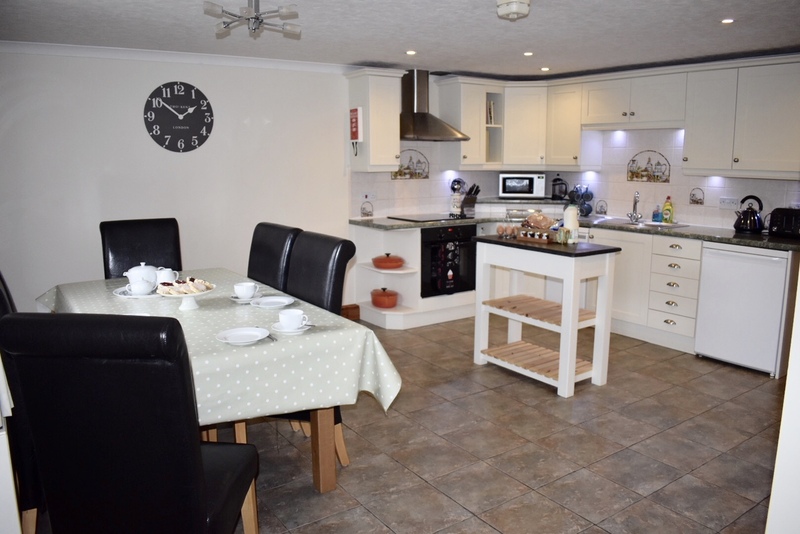 This cottage has been sympathetically converted from a former barn & now offers 5 star luxury accommodation for all seasons with fabulous attention to detail. The cottage sleeps up to five (plus a cot) but can accommodate a sixth person in the single room if required. A welcome pack awaits your arrival with fresh eggs from the owner's hens. There is a four poster bed in the master bedroom and a balcony with breathtaking views of the hills. There are also two further bedrooms, one twin bedded room and one single bedded room with pull out bed underneath. The comfortable lounge is ideal for socialising or relaxing & has a wood burning stove for cosy nights in. A selection of DVDs, CDs, books, magazines, jigsaws and games are supplied for your amusement. Outside is a decked patio which is a great suntrap. Garden furniture and a gas barbecue are provided, providing the facilities for alfresco dining. The lawned garden has sun loungers and an area for the children to play. Children are welcome to help with the feeding of chickens daily and feeding of lambs during lambing time (Feb til mid April)! 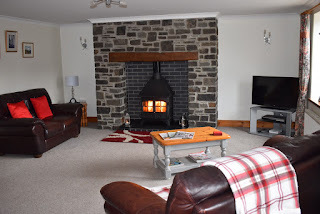 Cellan is set on the banks of the River Teifi and only 3 miles from Lampeter. In Lampeter you will find a good selection of restaurants, a variety of shops, great pubs & leisure facilities. Tregaron Nature Reserve is nearby and you are only 16 miles from the beautiful Cardigan coastline, where dolphins can be seen and you will find glorious sandy beaches.